The most important thing to us is to place our puppies in permanent, loving homes. All puppies are evaluated for temperament and breed structure at 7 1/2 to 8 weeks of age. This helps to determine the puppy's potential and suitability to a variety of situations. After evaluation, each buyer will be notified of their choice puppy will match their lifestyle/family or a choice of puppies to whom we believe they will be the best suited. This careful evaluation assures that only the very best puppies will be used for breeding purposes and that each potential buyer gets the puppy that makes the very best match for them. Based upon our extensive knowledge of this breed, do you agree to this evaluation, and will you accept our assistance in choosing your puppy based on this information? Of course, your deposit is fully refundable if we cannot find you the perfect puppy in a timely manner! We deliver pups to the Denver area, northern Colorado, nearby Wyoming areas and Eastern Nebraska! WE HIGHLY RECOMMEND YOU PURCHASE PUPPY CULTURE and continue on with what we started! See links on our Journey with Puppy Culture or the Available Puppy Page! Buyers will be entering a 10+ year relationship with each new puppy. The information you give us about your family and your expectations will help us to select a puppy that is most compatible with your lifestyle. We believe in making puppy-human matches that are the best for you, and most importantly, best for your puppy. If we screen buyers strictly, don't be offended. Instead, consider it our due diligence and commitment to this amazing breed. We look forward to speaking with you personally about your future puppy. 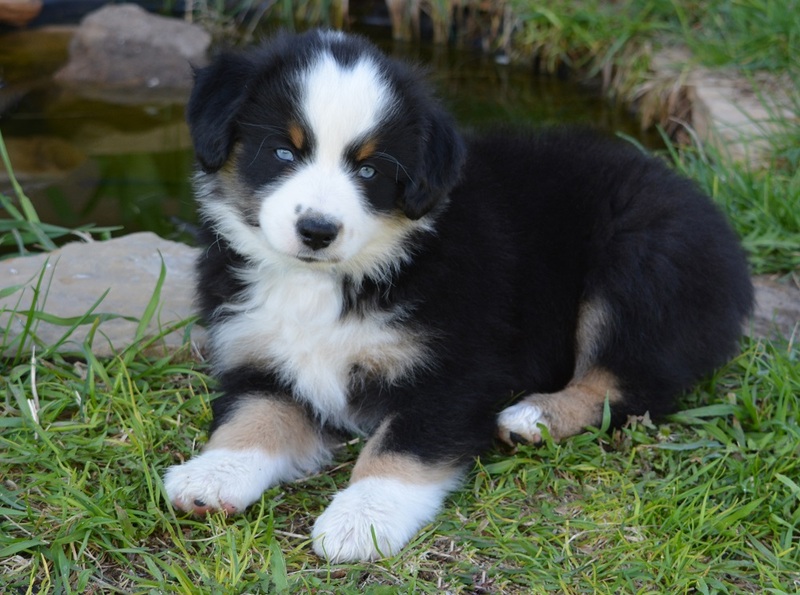 Please take the time to learn about Australian Shepherd health issues. Any breed of dog can have the similar health issues to humans, including epilepsy, eye disorders and hip dysplasia. Even the most reputable breeder's best intentions, careful planning and genetic testing cannot ensure that 100% of our puppies will be free of genetic defects. We offer a 2 year health guarantee on all puppies.